Formaldehyde is a dangerous yet common chemical that many companies use in household products that kill germs or preserve materials. 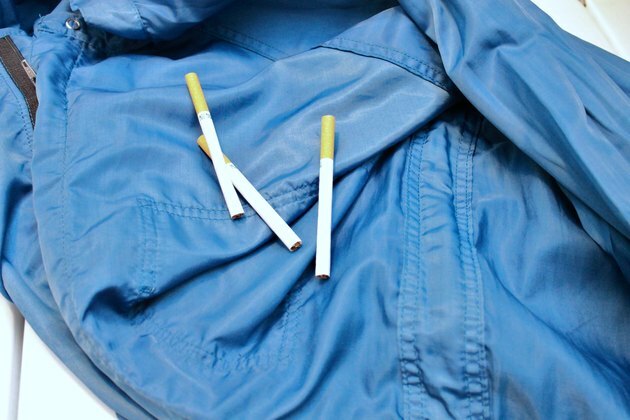 It is added to fabrics to reduce wrinkles, and is found around the house in everything from clothing to furniture and cigarettes. Unfortunately, formaldehyde is a toxic and flammable substance that can fill your home with dangerous vapors. Prolonged exposure to formaldehyde can cause a wide array of health complications. 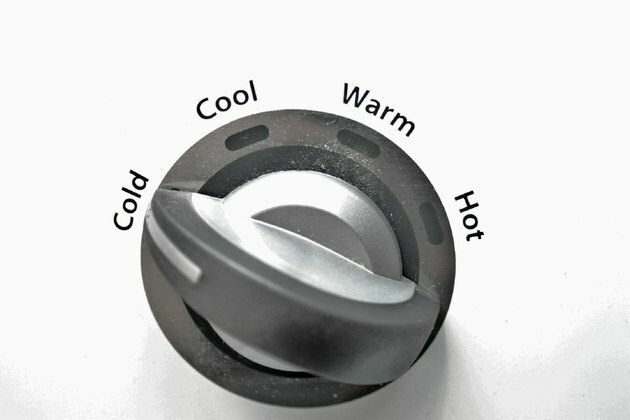 Set the temperature dial on the washing machine to the cold water cycle. Let the drum fill up with water and add 1 cup of powdered milk. 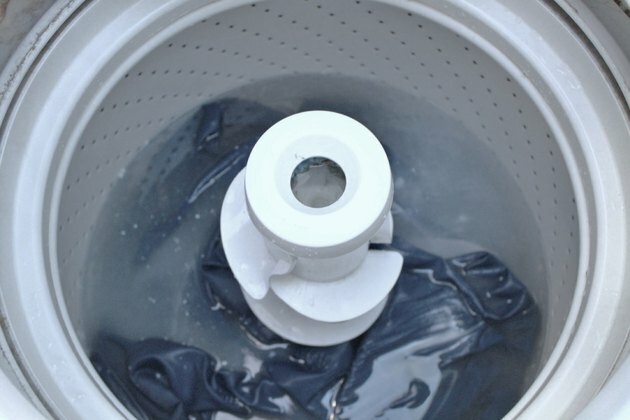 Submerge the clothing containing formaldehyde in the cold water and let it soak for 2 to 4 hours. Do not add any other clothing or laundry to the load. 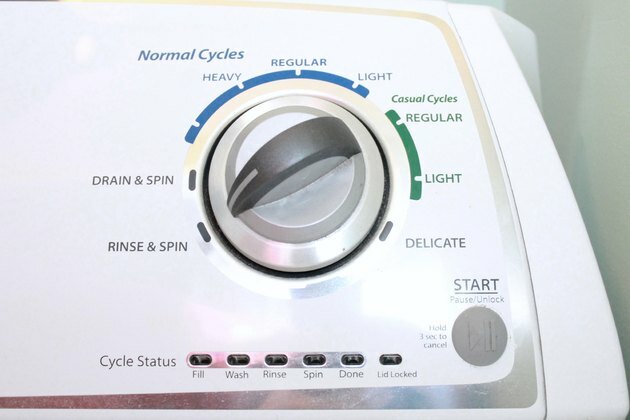 Turn the washer dial to a rinse and spin cycle, and close the lid. Let the washing machine finish the cycle. 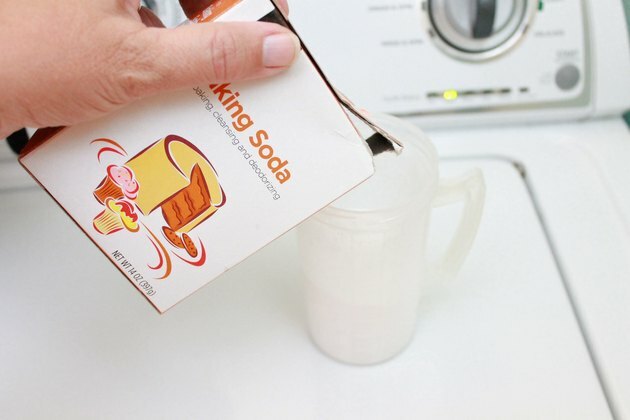 Fill the washing machine up with cold water and add 1/4 cup of laundry detergent and 1 cup of baking soda. Close the lid and let the washer begin to agitate the clothing. 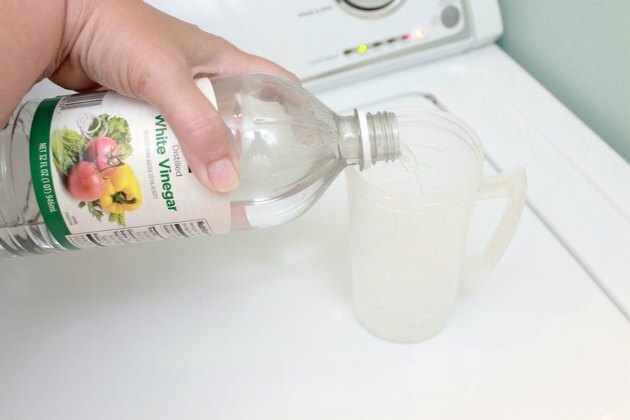 Open the lid right before the rinse cycle begins and add 1 cup of white vinegar. 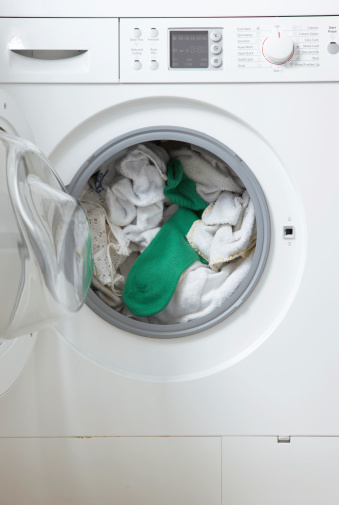 Close the lid and allow the washing machine to finish the rinse and spin cycle. Remove the clothing from the washing machine. 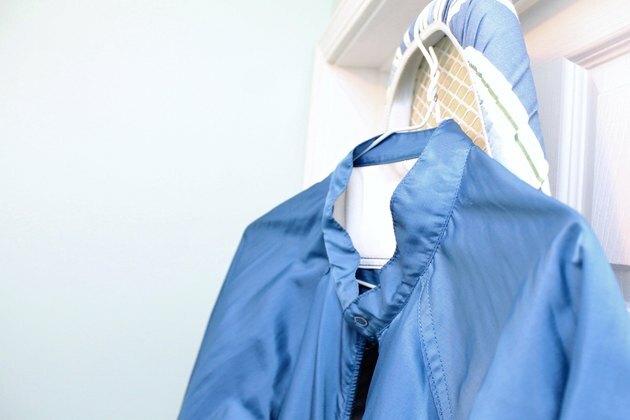 Hang the clothing out of direct sunlight and away from direct heat. Let dry for several hours.